Too bad it will never be in the game. 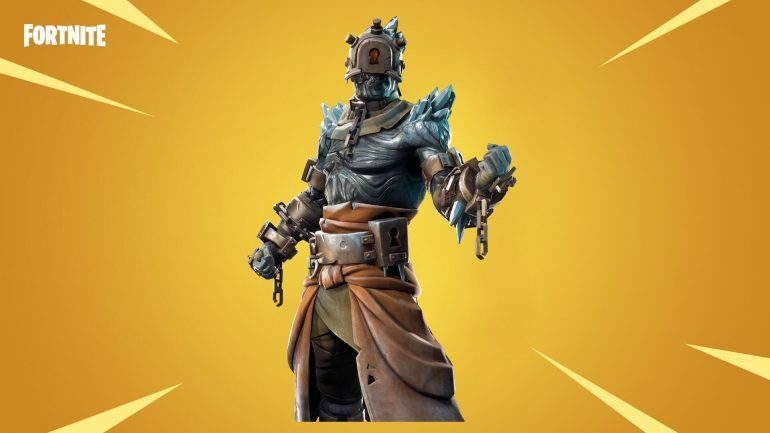 The newest obsession of Fortnite: Battle Royale players is the season seven special outfit, The Prisoner. It’s being given as a reward in season seven to all players who complete 60 weekly Battle Pass challenges, which means only players who own the premium pass can unlock it. The Prisoner is the first skin with which players have to interact with certain objects spread around the Fortnite island to unlock its additional styles, like finding a key to unlock stage two and lighting a unique campfire to unlock stage three. According to leaks, we know stage four is coming, and that it will be the last one, but a Fortnite fan already went a step ahead to create stage five. Noblebatterfly shared on Fortnite’s subreddit that they “weren’t quite satisfied with The Prisoner’s styles,” so they imagined and designed a fifth stage for the outfit. Stage five of The Prisoner would be free of all his chains, including the huge one on his waist. Part of his torso would become magma and flames, while another part would grow huge spiky rocks that would give him a demonic look. The only negative criticism Noblebatterfly received from fellow Fortnite players was about the black smoke that would be coming out of The Prisoner’s magma, which could “block the field of view” according to another user. Apart from that, their concept was praised by the community. Unfortunately, we’re almost sure there won’t be a fifth stage of The Prisoner, at least not in season seven. Leakers haven’t found evidence of an additional stage, so developer Epic Games probably has no plans of adding one to Fortnite anytime soon.